PROHIBITIVE right-hand-drive retooling costs and projected small sales mean that Chrysler’s pretty new 200 series will most probably remain a left-hand drive proposition. Derived from the Alfa Rome Giulietta-based Compact Wide underpinnings that also begat the upcoming Jeep KL Cherokee SUV, but designed, engineered and built in Michigan for the US and Canadian markets, the mid-sized Camry competitor is charged with at least doubling Chrysler’s tiny three per cent market share before the company will even think about RHD export plans. Speaking at the 200’s launch at the Detroit show today, the head of the Chrysler brand, Al Gardner, told Wheels that Australians should not hold their breath for sleek new sedan. “Today that is not in the plan,” he said. “Would I like to have right hand drive? Yes. But the reality is there are limited places where we can put it – Australia, England, Japan. “Basically the 200 is intended to eventually go international, but today it is a North American-market only product. Do we have the ability to do right-hand drive? Absolutely. We’re looking at those opportunities. True to its Camry-beating aspirations, either a 2.4-litre four-cylinder petrol engine or a 3.6-litre V6 drives the 200’s front wheels, though up-spec models also offer the option of all-wheel drive for the North American snow-belt region. 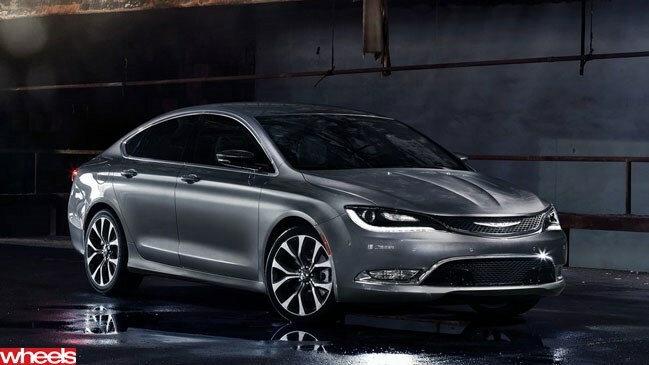 Besides sporting a slinky silhouette, the Chrysler’s other standout feature is its segment-first nine-speed automatic transmission, though many buyers are more likely to gravitate towards it low base pricing in the US. While this car’s predecessor was also known as the 200, that was merely a rehash of the unloved Sebring that sold very poorly in Australia from the mid to late 2000s.